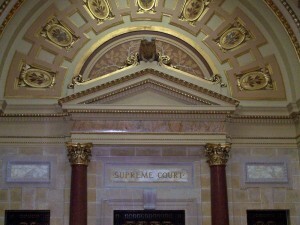 Voters will have three candidates to pick from in the race for an open seat on the state Supreme Court. Middleton attorney Tim Burns was the last candidate to file his nomination papers on Monday, which sets the stage for a three-way primary next month. Also running are Milwaukee Judge Rebecca Dallet and Sauk County Judge Michael Screnock. The seat is currently held by Justice Michael Gableman, who is not seeking a second ten-year term on the high court. The primary will take place on February 20th, with the top two candidates going on to face each other in the April 3rd general election.